Can you imagine what beer would taste like without hops? That’s out of the question, at least in the U.S., where all beer is legally required to contain hops, but that’s not how it has always been. Hop’s prevalence in beer is a relatively new development in the beverage’s long history. The first evidence of beer dates back over 7,000 years, whereas the first documented use of hops in beer was just over 1,200 years ago. So what were brewers using to flavor and bitter their beer prior to hops? Craft beer enthusiasts may soon find out as some breweries are experimenting with botanical beers that are heavily influenced by the ingredients of the past. Early beers, some of which have inspired Dogfish Head’s Ancient Ales series, contained no hops and were very sweet due to the barley and the absence of a bittering ingredient. 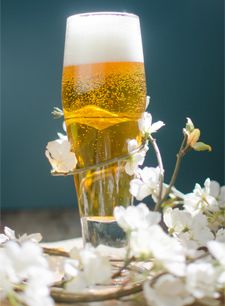 As tastes for beer developed, brewers experimented with recipes that countered the sweetness of the malt with new ingredients to produce a more balanced beverage. 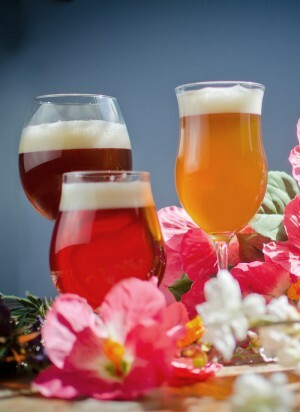 A large variety of botanicals were used to bitter beer before hops took center stage including flowers, herbs, roots, as well as a mixture called gruit. Experimenting with historically-inspired recipes using botanical ingredients is a trend that’s gaining traction in American craft brewing. Forbidden Root, a young brewery in Chicago, Ill., is actually named after their botanical root beer. Aside from their root beer, Forbidden Root aims to brew exclusively botanic beers with very limited hop usage. Their current lineup includes unique and intriguing offerings like a key lime ginger ale (a real ginger ale) and a pale ale featuring elderflower, marigold and sweet osmanthus flowers. While not their main focus, many other breweries have begun using botanic ingredients in some of their beers. A great example of a well-know beer that embraces botanical ingredients is Good Juju by Left Hand Brewing Co. in Longmont, Colo. Good Juju is a summer seasonal brewed with a hearty portion of fresh, organic ginger which gives it a uniquely refreshing spice character that you can’t achieve using traditional ingredients. Jester King Brewery in Austin, Tx., has embraced botanical ingredients in their Dichotomous series of limited release beers by using lavender, rosemary and spearmint, all harnessed in their barrel-aged farmhouse ale. Much like the original root beer, which was brewed for its medicinal qualities, San Francisco’s Cervecería De MateVeza brews all of their beers with yerba mate. Yerba mate is a plant that contains natural caffeine, antioxidants and 24 vitamins. Wild Woods Brewery in Boulder, Colo., embodies their slogan of, “beer inspired by the outdoors” by incorporating botanical ingredients in many of their beers. Their Treeline IPA not only includes a generous amount of Centennial and Columbus hops, but is also conditioned with juniper berries to add a distinct natural character that separates it from other IPAs. That’s not all, you’ll also find botanic ingredients like whole dried jasmine flowers and vanilla beans throughout their lineup. The use of alternate ingredients to bitter beer not only leads to more interesting beers for consumers, but also serves as a valuable precautionary measure. Hops add amazing character to beer, but there have been shortages in the past and there could be again. Any shortage drives the prices up and can put many small brewers in a rough situation should a crucial ingredient become scarce. Supplemental ingredients to use for bittering and to reduce dependence on hops could be incredibly beneficial in the event of another hop shortage. There are endless possible botanical ingredients that can take an already great beer and give it a truly unique flavor that you can’t find anywhere else. The increased use of botanic ingredients could be the next step in beer’s evolution and gives every brewery an opportunity for a lineup of totally distinctive brews, even as the overall number of breweries increases. There’s no end to the creativity that can be inspired by the use of non-traditional ingredients in the already highly innovative brewing industry. Whether the use of a botanical is inspired by its prevalence in a certain region or it is specifically sought out by a brewer that knows it’s the perfect final ingredient for their new brew, botanic ingredients will add huge variety to the craft beer landscape. At one point not too long ago, hops were just viewed as another potential ingredient, and look at what they stand for now. What could be the next defining development (or ingredient) in the history of American craft beer? Dan started his journey in craft beer on the east coast exploring homebrewing and pale ales. Since then he's spent time in Colorado, working at both the Brewers Association and Upslope Brewing Co. and is now living in the San Francisco Bay area. His go-to beer styles are American IPAs and pilsners. Apart from beer, he can also talk your ear off about cars and tech. 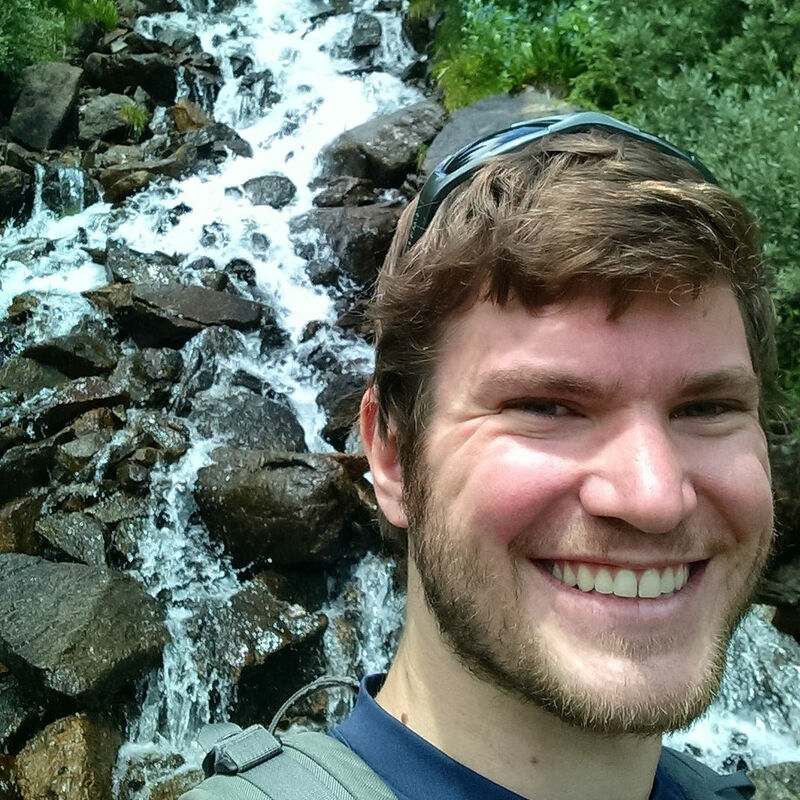 He enjoys hiking and biking with his wife and their dog.